There is a long discussion over on the official Silverlight forum about Microsoft’s Windows 8 demo at D9 and what was said, and not said; and another over on Channel 9, Microsoft’s video-centric community site for developers. At D9 Microsoft showed that Windows 8 has a dual personality. In one mode it has a touch-centric user interface which is an evolved version of what is on Windows Phone 7. 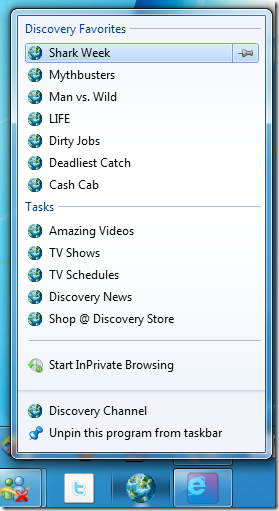 In another mode, just a swipe away, it is the old Windows 7, plus whatever incremental improvements Microsoft may add. Let’s call it the Tiled mode and the Classic mode. Microsoft made no mention of either Silverlight or .NET, even though Silverlight is used as the development platform in Windows Phone 7, from which Windows 8 Tiled mode draws its inspiration. My biggest fears coming into Windows 8 was that, as a mostly WPF+.NET developer, was that they would shift everything to Silverlight and leave the FULL platform (can you write a Visual Studio in Silverlight? of course not, not designed for that) in the dust. To my utter shock, they did something much, much, much worse. We are not Windows developers because we love Windows. We put up with Windows so we can use C#, F# and VS2010. I’ve considered changing the platform many times. What stops me each time is the goodness that keeps coming from devdiv. LINQ, Rx, TPL, async – these are the reasons I’m still on Windows. What is curious is that the developer tools division at Microsoft, part of Server and Tools, has continued to support and promote .NET; and in fact Microsoft is soon to deliver Visual Studio LightSwitch, a new edition of Visual Studio that generates only Silverlight applications. Microsoft is also using Silverlight for a number of its own web user interfaces, such as for Azure, System Center and Windows InTune, as noted here. You all saw a very small technology demo of Windows 8, and a brief press release. We’re all being quiet right now because we can’t comment on this. It’s not because we don’t care, aren’t listening, have given up, or are agreeing or disagreeing with you on something. All I can say for now is to please wait until September. If we say more before then, that will be great, but there are no promises (and I’m not aware of any plans) to say more right now. I’m very sorry that there’s nothing else to share at the moment. I know that answer is terrible, but it’s all that we can say right now. Seriously. While this is clearly not Brown’s fault, this is poor developer communication and PR from Microsoft. 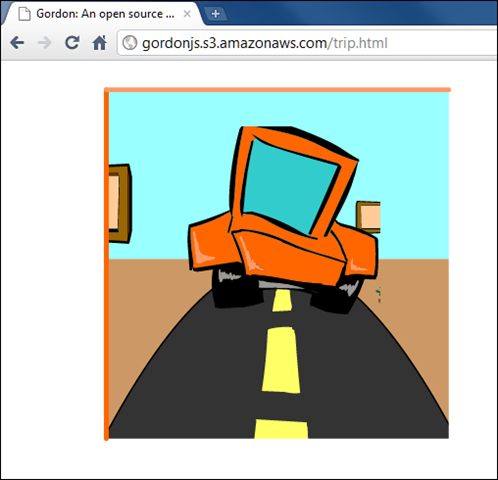 The fact that .NET and Silverlight champion Scott Guthrie is moving to Windows Azure is no comfort. The developer division, and in fact the whole of Server and Tools, has long been a bright spot at Microsoft and among its most consistent performers. The .NET story overall includes some bumps, but as a platform for business applications it has been a remarkable success. The C# language has evolved rapidly and effectively under the guidance of Technical Fellow Anders Hejlsberg. 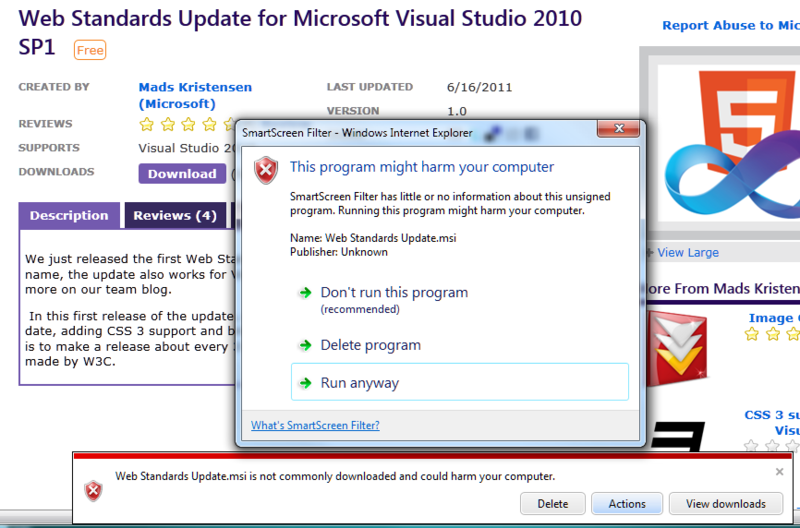 It would be bewildering if Microsoft were to turn its back on .NET, even if only on the client. In fact, it is bewildering that Microsoft is being so careless with this critical part of its platform, even if this turns out to be more to do with communication than technical factors. From the outside, it still looks as if Microsoft’s server and tools division is pulling one way, and the Windows team the other. If that is the case, it is destructive, and something CEO Steve Ballmer should address; though I imagine that Steven Sinofsky, the man who steered Windows 7 to launch so successfully, is a hard person to oppose even for the CEO. Jupiter is a user interface library for Windows and will allow developers to build immersive applications using a XAML-based approach with coming tools from Microsoft. Jupiter will allow users a choice of programming languages, namely, C#, Visual Basic and C++. Jupiter, presuming her sources are accurate, is the managed code platform for the new Windows shell – “Tiled mode” or “Tailored Apps” or “Modern Shell – MoSH”; though if that is the case, I am not sure whether C++ in this context will compile to managed or unmanaged code. Since Silverlight is already a way to code using XAML, it is also not clear to me whether Jupiter is in effect a new Windows-only version of Silverlight, or yet another approach. 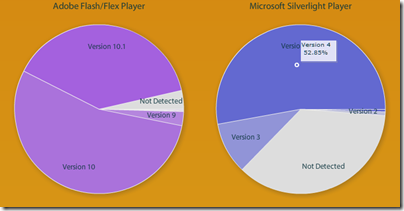 Silverlight in Microsoft products – Silverlight the new Windows runtime, HTML 5 the new Silverlight? 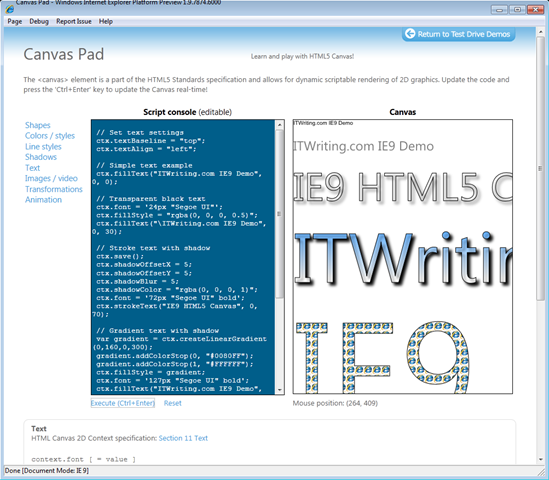 Is Microsoft ditching Silverlight and embracing HTML 5? 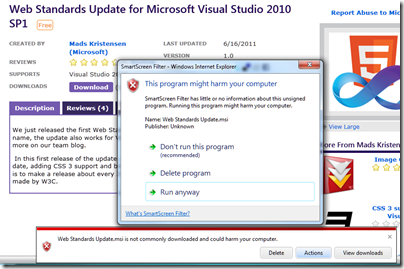 Or is Silverlight the future of desktop and browser-based development on Microsoft’s platform? Good question; and I am not sure that Microsoft itself can answer. There is evidence for both cases. 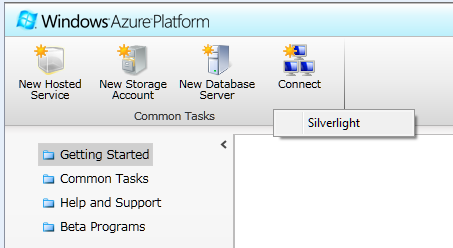 One thing I have noticed though is that Silverlight is turning up in numerous Microsoft products. This is in contrast to the early years of the original .NET Framework, which Microsoft used rather little in its own stuff, though the context is different today because of the growth in web-based development. I guess we cannot really count Visual Studio LightSwitch, which is a tool that builds Silverlight applications, though it is interesting insofar as the target market is not expert developers, but smart general users who want to build database applications. 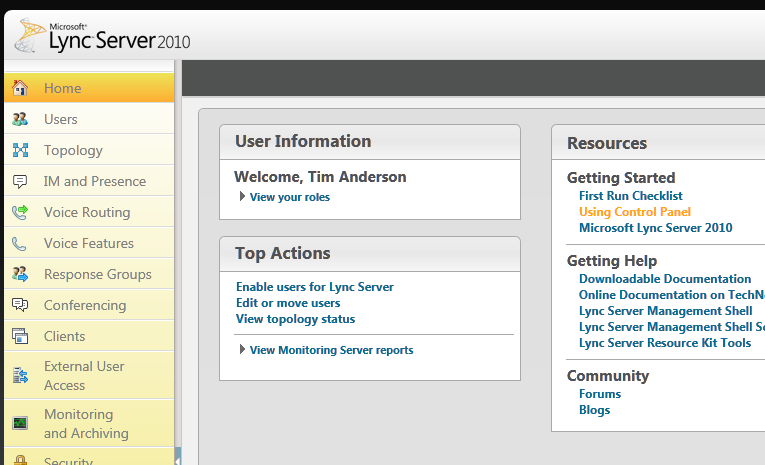 Lync Server 2010 is a better example. 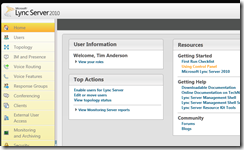 Silverlight is used for the control panel. System Center for managing Microsoft servers. 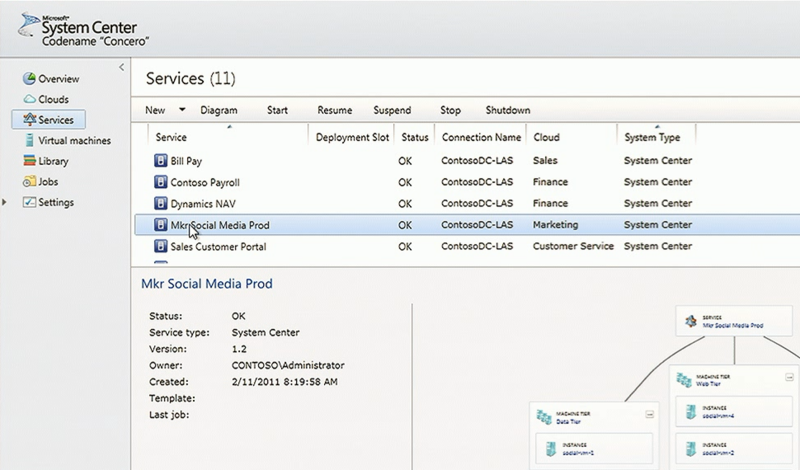 I’m not actually sure how much Silverlight is used in System Center, but I understand the newly announced “Concero”, a new feature for managing public and private clouds, uses a Silverlight control panel and I suspect it is used elsewhere as well. These are a few that I am aware of; I would be interested in other examples. Now, you can make sense of this to some extent by distinguishing “Windows platform” from “broad reach” applications. It is curious, but Silverlight which started out as a broad reach plugin is gradually moving towards a Windows platform runtime, though it still runs on a Mac with some limitations, mainly lack of COM interop. There has been speculation that Silverlight could merge with the desktop Windows Presentation Foundation and become a commonly used application runtime for desktop Windows as well as web apps, and of course Windows Phone. When Microsoft wants broad reach, it uses HTML, an example being Office Web Apps which make hardly any use of Silverlight. 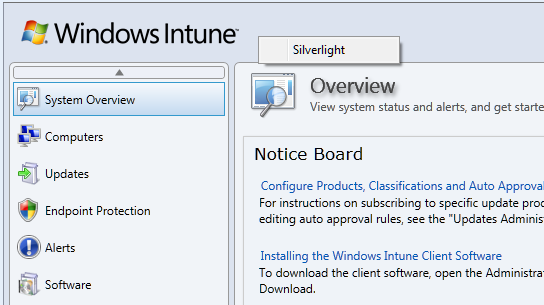 Nevertheless, using Silverlight for products like Windows Intune could be annoying for administrators who might otherwise use an Apple iPad when out and about; but I guess Microsoft figures that if you are deep enough into Windows to use Intune, you probably will not be using an iPad. Silverlight the new Windows, HTML 5 the new Silverlight? I’m at the Future of Web Applications conference in London, a crazy mixture of tips for web start-ups and general discussion about application development in a web context. The first session was from Google’s Michael Mahemoff who enthused about HTML5 and open web standards, while refusing to be pinned down on what HTML5 is, which standards are in and which may in the end be out. Microsoft is here showing off IE9; but one of my reflections is that while the HTML5 support in IE9 is impressive in itself, there are going to be important parts of what, say, Google considers to be part of HTML5 that will not be in IE9, and given the pace of Microsoft’s browser development, probably will not turn up for some time. In other words, the pressure to switch to Chrome, Firefox or some other browser will likely continue. Local installation – interesting as this is something which is not yet widely used, but clearly part of Google’s vision for Chrome, and also in IE9 to some extent. The last of these is interesting, and I sensed Mahemoff showing some discomfort as he steered his way between open web standards on the one hand, and Google-specific features on the other. He presented the forthcoming Chrome Web Store as the solution for taking payments for your web app, whether one-time or subscription. I asked how this would work with regard to the payment provider – could you freely use PayPal, direct debits or other systems? He said that you could do if you wanted, but he anticipated that most users would use the system built into Chrome Web Store which I presume is Google Checkout. After all, he said, users will already be logged in, and this will offer the smoothest payment experience for them. The side effect is that if Chrome Web Store takes off, Google gets to make a ton of money from being the web’s banker. Outside in the exhibition area Vodafone is promoting its 360 app store, with payments going through the mobile operator, ie in this case Vodafone. Vodafone’s apps are for mobile not for web, but it is relevant because it is trying to draw users away from Google’s Android Marketplace and onto its own store. PayPal is here too, showing its developer API. The app store and payment provider wars will be interesting to watch. Head over to http://www.beautyoftheweb.com/ and you can download the beta of Internet Explorer 9, which is now up and running on my Windows 7 64-bit machine and looking good so far. So what’s new? In terms of the rendering engine, this is like the last Platform Preview, but a little bit further along. During the briefing, we looked at at the experimental (and impressive) site put together by EMC, which shows 3D rotation of a motor vehicle along with other effects, put together entirely in HTML 5. 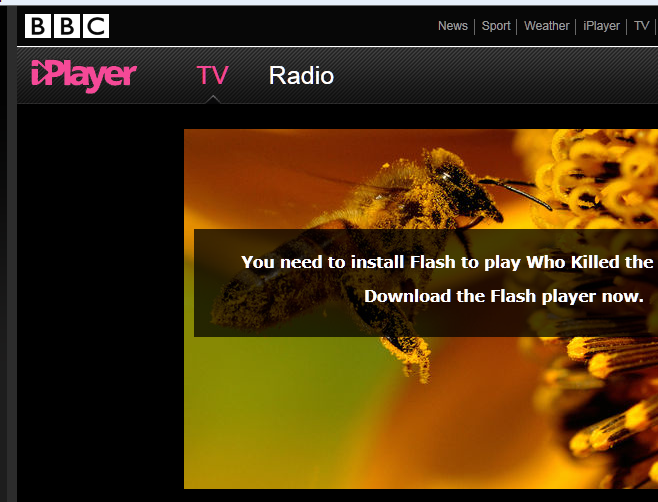 At the time I only had the fourth platform preview installed, and the site did not work. Amusingly, I was advised to use Google Chrome, which worked fine. 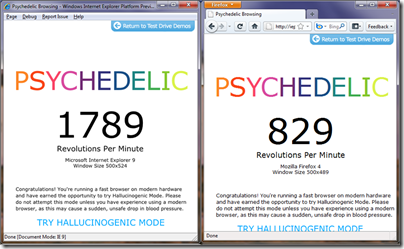 Now that I’ve installed the beta, the same site works in IE9, rather more smoothly than in Chrome. If you squint at this screenshot, you’ll notice that the Discovery site, which is tweaked to use this feature, has a good-looking icon as well as a Jump List, whereas the icons adjacent to it look bad. That’s because you need to create a new large favicon to support this feature, as well as optionally adding metadata to create the Jump List. 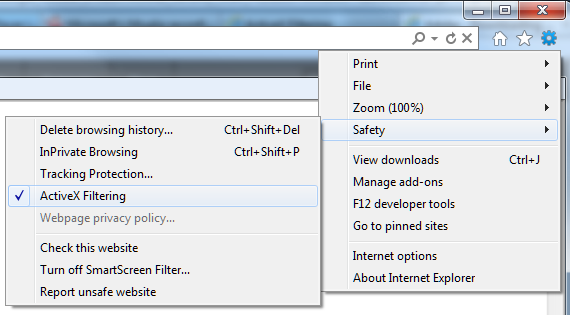 None of this is any use, of course, if you use Vista; and if you use XP you cannot even install IE9. There’s also a download manager at last. 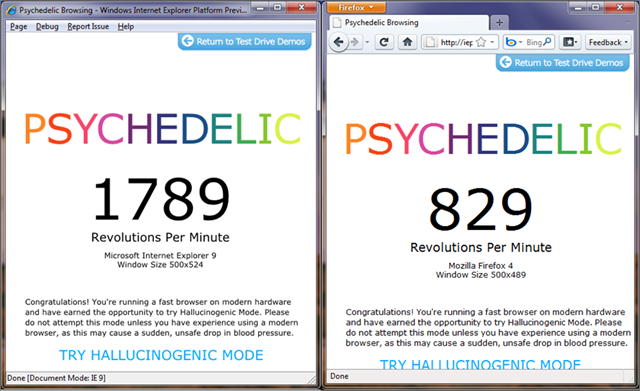 There’s no doubt that IE9 is miles better than IE8. Is it better than rivals like Chrome, from which a casual observer might think it has drawn inspiration? Too soon to say; but using the official native browser does have advantages, like integration with Windows Update as well integration with the OS. That said, I’m not personally a big fan of the single box approach, and I’ll miss the permanent menus. If you press the Alt key the old File, Edit View etc magically appear, but I can’t see any way to make it persist. Of course someone has. 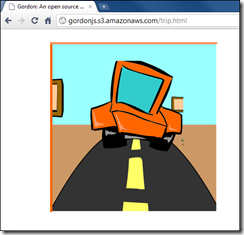 Tobias Schneider has been working on Gordon and built his first full release in June. In this build, Gordon can read and parse all valid SWF’s, even if they are compressed with ZLIB, but plays only SWF1 files completely, as well as the most of the SWF2 features. The Adobe SWF specification is now up to version 10. Microsoft has released the fourth platform preview for Internet Explorer 9, which you can download here. This is the last preview before the beta release, expected in September. 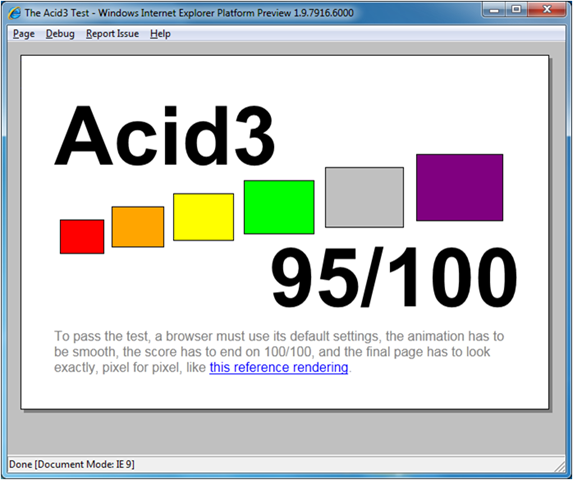 When IE9 was first previewed, back in March, it scored only 55% on the Acid3 standards test – well ahead of IE8 which scores around 20%, but far short of rivals like Google Chrome and Apple Safari which achieve full marks. Mozilla Firefox is at 94%. The new preview is at 95%. 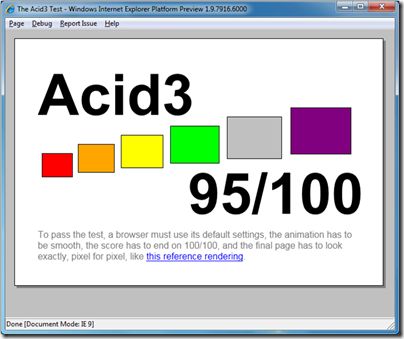 IE9 is now up there with them – but why not 100%? According to UK Web Product Manager Mark Quirk, it is down to three features, two of which are related to SVG (Scalable Vector Graphics). Two points are lost because of SMIL (Synchronized Multimedia Integration Language) presentations, which Microsoft does not intend to support because a similar feature will be part of CSS in future. Two points are lost because of SVG fonts, which again Microsoft does not intend to support because it sees WOFF (Web Open Font Format) as the future standard here. One point is lost because of the inability to draw SVG fonts on a path, though there are other ways to draw fonts on a path. 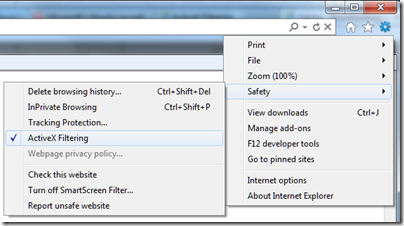 The bottom line: IE9 will most likely stay at 95% right through to its final release. But how long before the final release? Microsoft is not saying, though when I suggested the first half of 2011 as a reasonable guess, Quirk reminded me that the beta will be high quality and that the release should therefore follow “not too long” after. 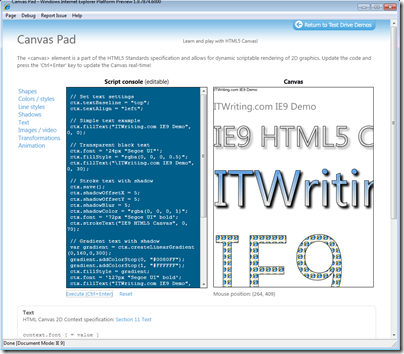 Since we will get much of HTML 5 in IE alongside the other popular browsers, do we still need Silverlight? I’d add that even if IE9 is all that we hope, it will take years before older versions fall out of use. Recently the UK government said it will stick with IE6, and whatever you think of that decision, it shows how hard it is to get browsers upgraded everywhere. 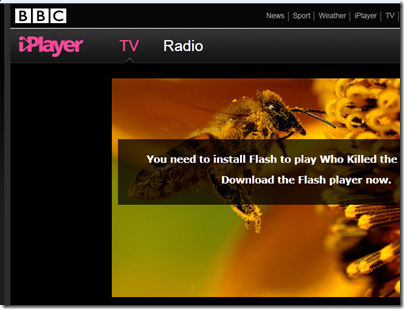 By contrast, plug-ins like Flash and Silverlight get updated rather fast. I noticed on Riastats today that over 50% of browsers now have the latest Silverlight, and 39% already have Flash 10.1 – over 90% have Flash 10 or higher. If you combine that issue with things like video playback that are problematic even in HTML 5, it suggests that plug-ins will be with us for the foreseeable future, though it is quite possible that their use may decline.